FitTracker is the perfect fitness tracking app to help you get in shape, stay fit and reach your goals! With over 500 exercise guides, it’s like having a personal trainer in your pocket. Get instant access to hundreds of different muscle building and fat burning exercises using various training styles such as free weights, kettlebells, resistance bands, bodyweight exercises, Pilates, medicine ball, and many more. You can easily create your own custom workouts using your favorite exercises or use our pre-designed FitTracker workouts to help you stay on track! Why Do You Need This Fitness App? Have you become bored with the same exercises and the same workouts day in and day out? Nothing is worse than getting tired of an exercise routine that’s completely stale. 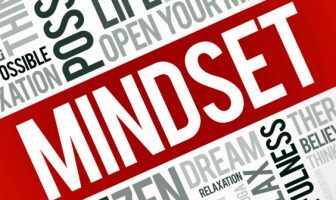 Everyone needs a variety of different and fun activities in order to keep the excitement in their program so they can stay motivated and inspired to keep going. The FitTracker fitness app provides tons of different exercises in several categories to always keep your workouts exciting! 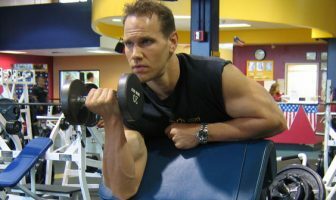 It’s super quick and easy to choose the best exercises for each unique muscle group so all you need to do is choose the area of your body that you need help with. You can also navigate the app by a specific training category (free weights, kettlebells, bands) so if you only have access to elastic exercise bands at your house or if you’re want to do a bodyweight workout at the park, you have the option to view just those specific exercises in that category. Keeping a fitness journal is one of the most important tools you can use to succeed with your fitness program. FitTracker has a “Progress” area where you can enter your current weight and your final goal weight that you would like to achieve. 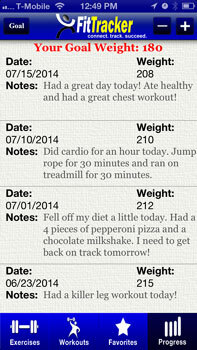 Enter your weight each week (preferably on Sundays) and then add additional “Notes” to your entry so you can document and track details about how you’re feeling with your current progress. Did you have a great workout earlier in the week or did you slack a little on your exercise program? Keep track of everything in your fitness journal so you can learn from your diet and exercise habits in order to keep progressing towards your goals. How about your diet and the foods you’re eating? Fitness journals are perfect for keeping a record of different nutritional information such as a meal plans, cheat foods and any emotional eating issues you might have. What gets measured gets managed so use our app’s journals to help you reach your fitness goals faster! 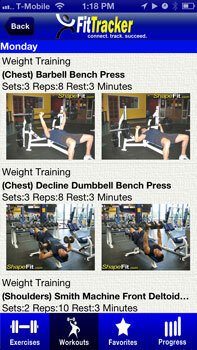 Weight Training: These exercises include resistance training with weights including barbells, dumbbells and machines. This type of training is the best for building overall muscle mass and increasing strength levels. There are 233 total exercises included in this category. 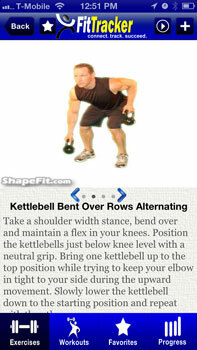 Kettlebell: These are cast-iron weights which resemble a cannonball with a handle. Kettlebells are used to perform ballistic style exercises in unique ways for incredible workouts to increase power and strength. If you’re looking for something different to include in your routine, kettlebells are the perfect choice! There are 83 total exercises included in this category. Resistance Bands: Using elastic exercise bands is the perfect choice when training at home or when you’re looking for a portable piece of exercise equipment to take with you when you’re traveling. You can get a great workout when using resistance bands and they are perfect for doing high repetition toning exercises to help tighten up your physique! There are 18 total exercises included in this category. Body Weight: Using your own body weight is one of the best ways to build your body on a tight budget. There is no need to pay for expensive gym fees or special equipment in order to perform a great muscle building workout anytime during the day. 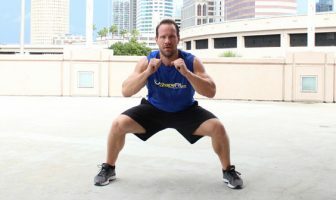 Body weight resistance targets your body in a totally different way than using traditional weight training exercises and it’s definitely worth trying if you’ve never done this type of training before! There are 49 total exercises included in this category. Exercise Ball: Have you ever seen those big balls in the gym that people are sitting on and doing exercises with? Well, those things are called exercise balls and they’re excellent for doing strength training exercises with. 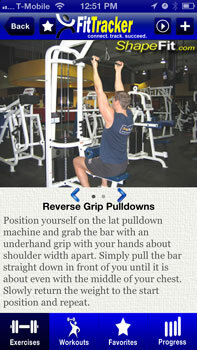 There are 42 total weight training exercises included in this category. Medicine Ball: These are compact and heavy balls that you will find in many gyms which provide the perfect level for resistance when used with different types of exercises. Medicine balls are also excellent for working on explosive and ballistic style training to increase overall power and strength for certain types of sports and activities. There are 31 total exercises included in this category. Core Training: Having a strong core is very important for overall health. Training the core muscles helps to strengthen the abdominals, back muscles and obliques (sides) which help correct postural imbalances that can lead to pain and injuries. Along with building up strength in your core, you will also be working towards the added benefit of a great looking stomach with ripped six pack abs! There are 23 total exercises included in this category. Pilates: Pilates is a fitness program developed in the early 20th century that includes a whole body conditioning system that helps build flexibility, strength and endurance. Different exercises can be modified in ranges of difficulty (beginning to advanced) and the intensity level can be adjusted as the person becomes more accustomed to the movements. Pilates is excellent for strengthening your core muscles, improving posture and increasing muscle tone. There are 46 total exercises included in this category. 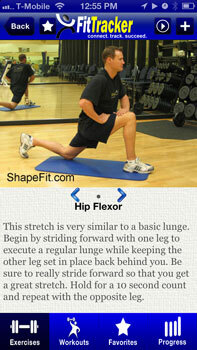 Stretching: Flexibility training is one of the key components of a well-rounded fitness program. Stretching exercises help to elongate the muscles, increase flexibility, reduce muscle tension, increase circulation of blood, and improve the range of motion of your joints. Doing different stretches for 10-15 minutes is also the perfect way to help cool down after a hard workout! There are 42 total exercises included in this category. One of the coolest features in our FitTracker fitness app is the custom workout tool. If you find an exercise you really like while searching through the huge database, simply click the “Add” button (+) above the exercise and create your own custom workout, such as “My Six Pack Abs Workout” and then easily add additional exercises to your workout to build your own custom workout routine! This feature is perfect for anyone who already knows how to setup their workouts but just needs new and fun exercises to add to them. For anyone who is just starting a new fitness program and needs a little help figuring out how to create a workout routine, our FitTracker app has you covered. 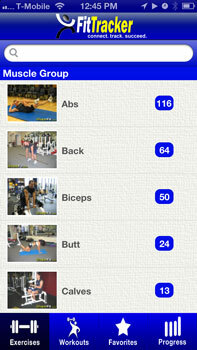 We have setup the app into weekly workouts which are broken down into the number of days per week you want to workout. If you only have a few days each week to exercise, just choose the “2 Days Per Week” option and FitTracker will show you unique and fun workouts to use for multiple weeks so you never get bored using the same program. Our pre-designed workout routines take the guesswork out of getting in shape by providing detailed workouts and exercises to fit your schedule! I have COPD and I am looking for exercises that will increase my lung capacity and be safe for me to do. I belong to a gym and workout 3 times per week, I do not need to lose any weight. I have reviewed your web site and have not found any exercises that fit this category. Steven – We recommend contacting your primary care physician to ask them which specific exercises are safe to use with your condition. We are not doctors and do not feel comfortable providing detailed exercise advice on this topic. You might also want to post your question in our fitness forum and other members who have COPD might be able to provide feedback about their current exercise and workout regimens that have helped them. 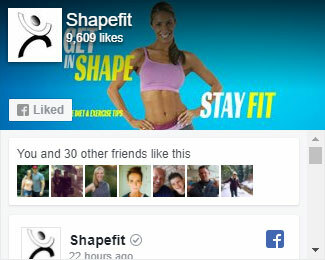 Hi ShapeFit, I was hoping someone could assist or advise on what I can do to achieve my goal. I’m relatively fit and run on a regular basis. I completed a half marathon about a month ago. I eat healthy but do enjoy some treats or pasta on the weekends. 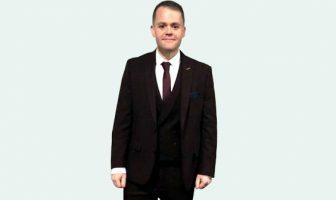 I’m thin (size 8/10) and don’t want to lose any more weight. What I can’t seem to achieve is a toned physique. I go to Pilates once a week and do Body Pump once a week along with running. I was also thinking about taking up boxing. I don’t know if I’m doing the correct workouts or if it’s my diet. How can I tone up? Maria – To tone up and get firm, I highly recommend starting a weight lifting program using basic muscle building exercises like squats, bench press and even deadlifts. Don’t worry, you’re not going to get “huge” from doing these types of compound exercises. By lifting weights, you will be pushing your body to build lean muscle which is the key to achieving a lean and toned physique. 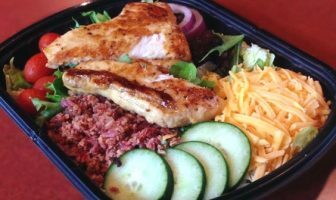 Your diet is also crucial so if you tend to have too many cheat foods on the weekend, these extra calories will eventually pack on unwanted body fat so try to eat clean the majority of the time if you really want the body of your dreams! I have started going to the gym and I attend Zumba and a step/abs class 5 times a week. Is this enough and what exercises can help me decrease my cup size? 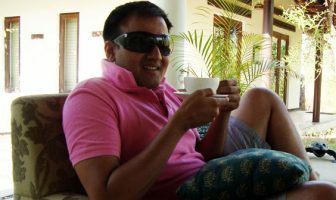 Hi Megha – Your cardio routine sounds great but your diet is the most important factor for losing body fat and breast size. When in doubt, always focus on the foods you’re eating first before focusing on exercise.